Linda is a Digital Workplace Services Consultant who helps clients harness innovative technology to bring the workplace of the future to fruition. Whether coordinating with a team or working with clients one-on-one, Linda thrives on the complexity and challenge of meeting each client’s unique technological needs. With over 20 years of experience at IBM, she most recently transformed client workplaces with analytics, AI, Cloud and automation to personalize IT support. Linda has worked with many Fortune 500 companies in varied IBM management positions, signing over $20B in outsourcing deals. 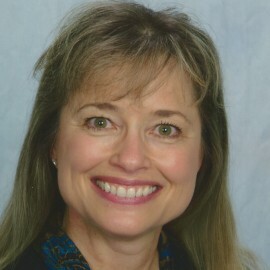 Linda holds a doctorate in Computer Science (minor in Artificial Intelligence) from George Washington University and certifications in ITIL and Agile Foundations, Lean Six Sigma Green Belt and PMI PMP. She lives in Lake Tahoe with her husband and enjoys hiking and snowshoeing and New York Times crossword puzzles.